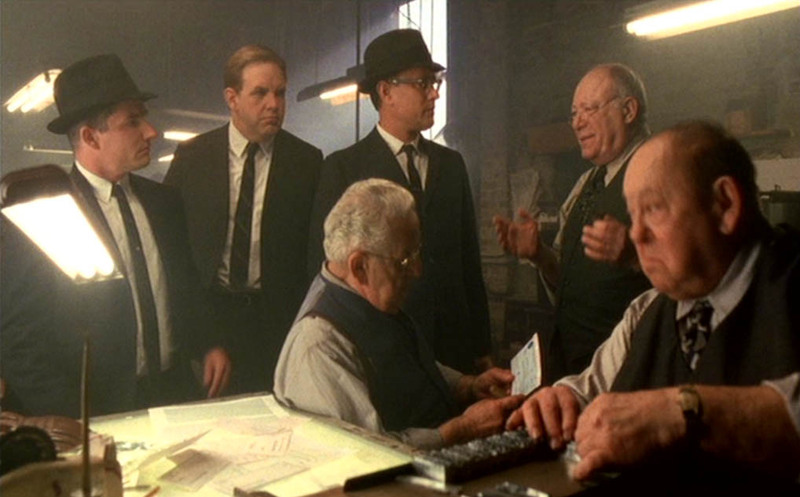 As Hanratty visits a print shop to show them the checks printed by Abagnale in Europe, crucial information is given on check printing to the point where we need to analyze the printers’ comments sentence by sentence. Bear with me and I’ll show you it took a feat of engineering to produce good looking checks as Abagnale did in his time! 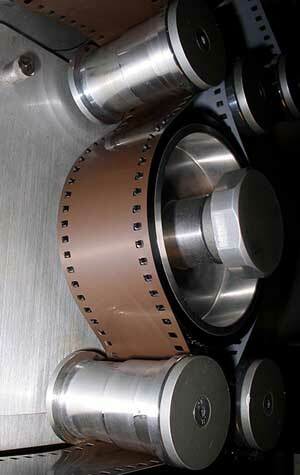 With the current printing techniques, each color separation is output to a photographic film used to create the printing plates. 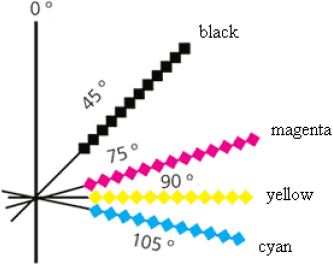 Generally, full color documents — document with many colors as in a photograph — are separated into four basic process colors: cyan (C), magenta (M), yellow (Y) and black (K). 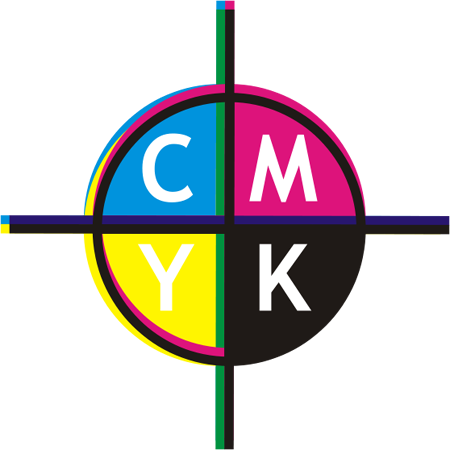 This kind of color separation is called “CMYK separation”. If you know a bit about color theory, you must be wondering by now why black is needed at all. 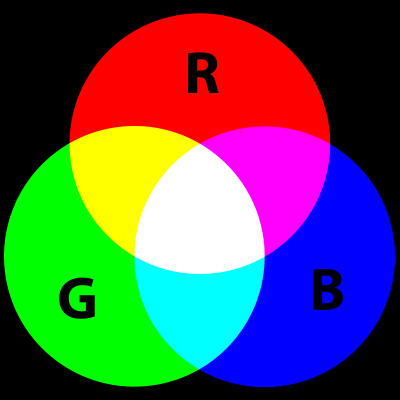 After all, aren’t the three additive colors — red, green and blue — sufficient to merge into any color? But in the physical world, any printing ink holds impurities and mixing the three subtractive colors gives you a murky, muddy brown at best. 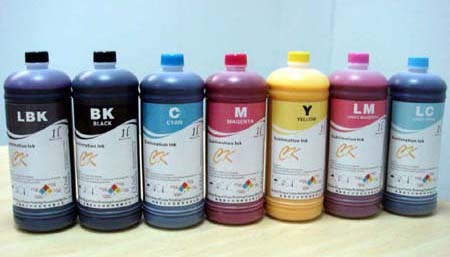 To overcome this deficiency in the color separation process, printers remove some cyan, magenta, and yellow in black areas (areas where the three colors exist in equal amounts), and replace it by the fourth color by printing black ink instead. 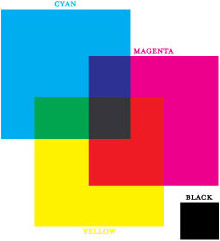 This is the four-color process that dominates the world of printing…! The four separation plates are printed consecutively with their corresponding ink color. Each pass through the rollers adds a new color of ink to produce the final full-color image. Here’s the highly technical explanation you’d get from a printer: it’s the screen dot pattern created when the four color halftones are placed in the traditional angles. 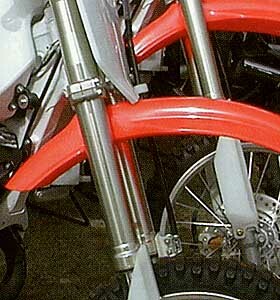 Two or more halftone screens are printed over one another with a 30° or bigger angle difference between them. (You have to vary the screen angles to avoid the different colors getting superimposed.) For example, a 45°, a 75° and a 105° combination yields a good 3-color rosette — these tiny patches are called “rosettes” too, sorry — without an objectionable pattern. 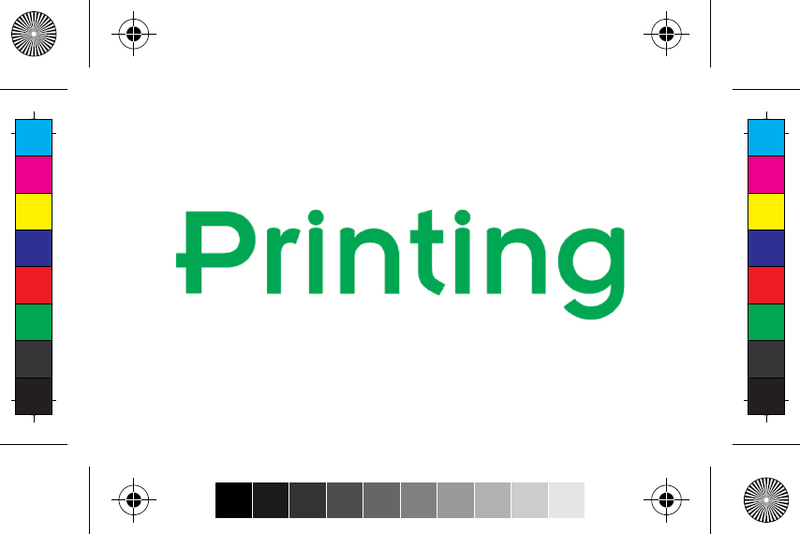 OK, this definition raises further questions: we need to explain what halftoning is, but bear with me because you’ll learn how printing really works… Halftoning is the printing technique that makes use of single-color dots of varying size, shape and spacing to simulate continuous color. Tiny discrete dots of one color become mixed “rosettes” on the paper, your eyes see just one color. 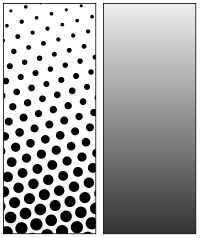 In a black-and-white image, the halftone dots are printed entirely in black (K). 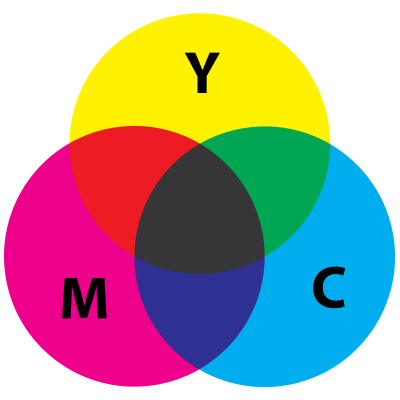 In color images, there are four screens (CMYK). If you were to look at colored text or a photograph on printed matter — a book, magazine, newspaper, postcard, calendar etc. 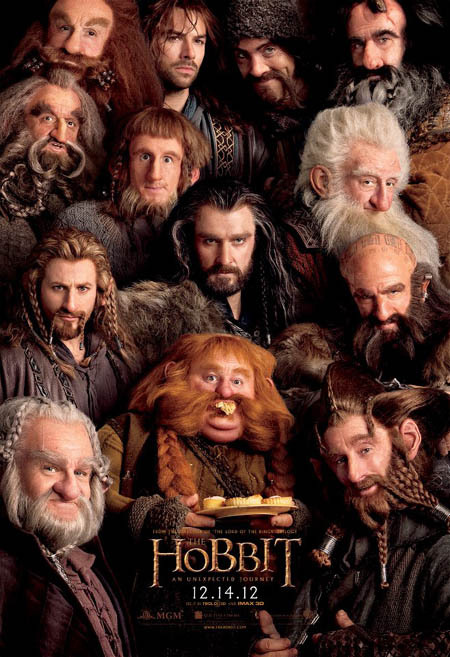 — with a strong enough magnifying glass, this is what you’d see! Where the human eye sees continuous color, say a certain blue, green or red, the magnifying glass would show you patterns, so-called “screens”, composed of dots of different sizes and shapes, but where each screen is just one color — either cyan, magenta, yellow or black. Let’s turn to art to explain the optical illusion. 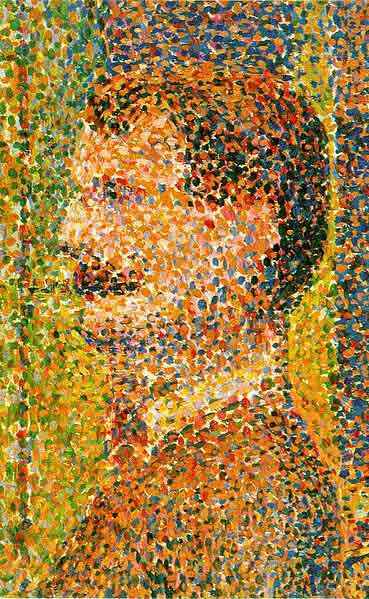 The impressionists, and even more so the pointillists among them, did the same thing on the canvas. Move in too close to an impressionist painting and you just see patches of paint. You could be fooled into thinking you’re looking at an abstract painting. But move back to the correct distance and you’re watching, say, a sunday picnic by the river, a flower arrangement etc. Move in on a pointillist painting and you’re watching not patches of paint but actual dots! With color printing, you get the same thing: the dots are just much smaller, and your eyes blends them under all circumstances, however close or far you hold the paper! Now back to printing: the small inkjet printer you have at home creates small dots too! (The “jet” bit in the term indicates that the printer head shoots small droplets of ink into the paper.) 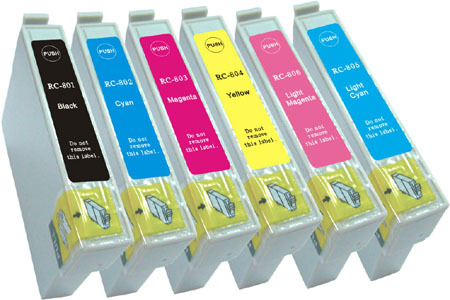 With all you know about printing now, are you surprised that it takes (at least) 4 cartridges with the colors CMYK to produce color documents? OK, I guess you knew that. 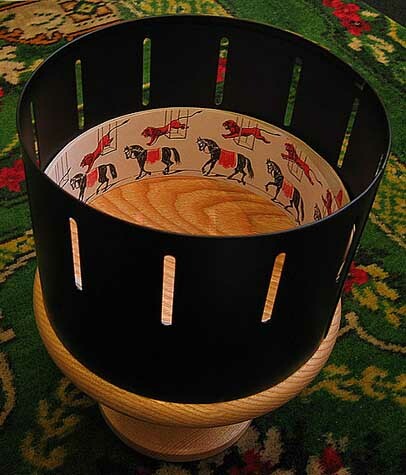 You’ve all played with a children’s flip book or you saw a zoetrope in a museum — a revolving drum with static pictures on the inside seen through the narrow vertical slits on the side of the drum. Or maybe you’re familiar with the photography of Eadweard Muybridge, who triggered photo cameras sequentially to study the movement of horses, people etc. 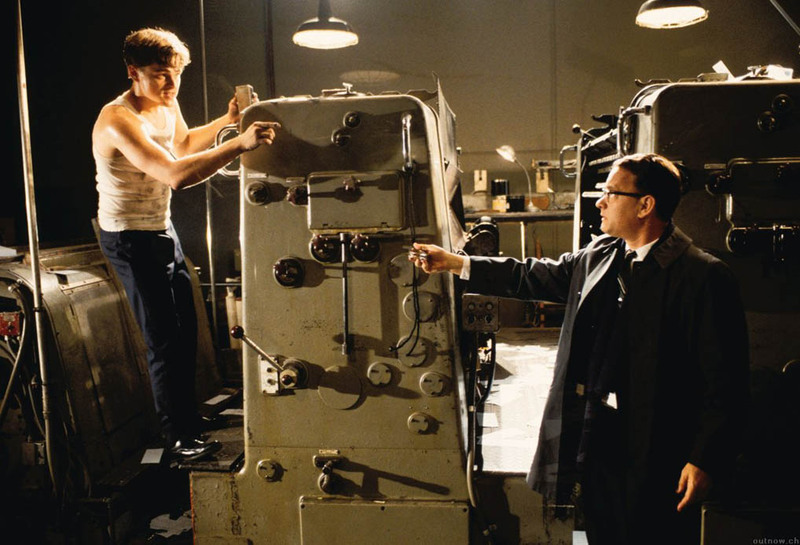 Movie projection simply depended on this intermittent mechanism: if the frames were just dragged past the projection lamp, the movie would have become one long, unwatchable blur. Back to checks and the world of security printing! So, what makes printing checks (and paper money) so difficult? You’ll for instance get rosettes printed on them. 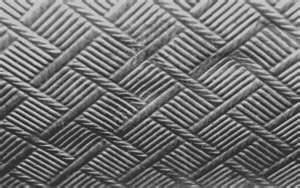 You can also speak of a “guilloche” or a “guilloché”, that’s another technical term for this kind of intricate, fine-line pattern. 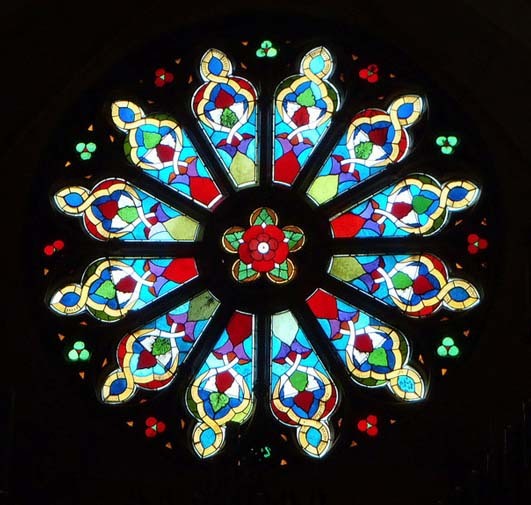 With rosettes, the repetitive ornament has to be circular, but guillochés don’t have to be. But that’s not all. 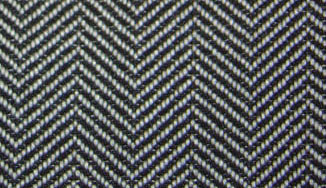 There’s also the printing and scanning phenomenon called “moiré” patterns. Sit back for some more theory! 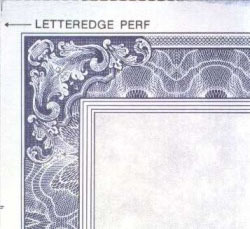 To get a well printed document, the angle of the halftone screens plays a crucial role. Wen a halftone screen with an angle less than a 30° angle gets included, an ugly pattern develops: the halftone screen patterns become visible! 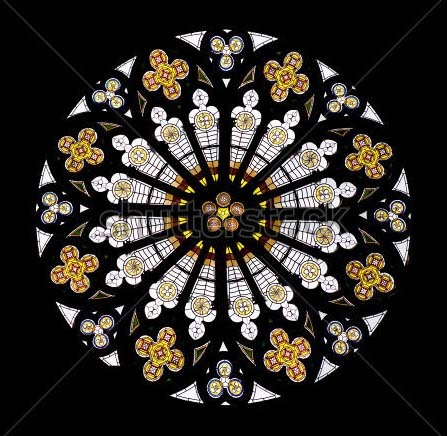 It all depends on the angle under which the lines or haltone screens printed on the paper intersect with each other… The animated picture illustrates that beautifully! 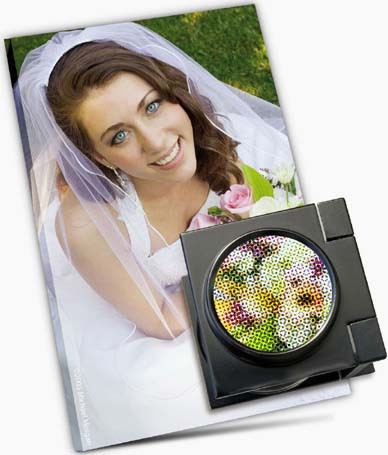 This we already know: any image printed with a printing press is printed with halftone screen patterns. Now, the fine, single-color dots of the halftoning screens cause optical challenges to the scanner because the scanned image is also composed of fine dots. 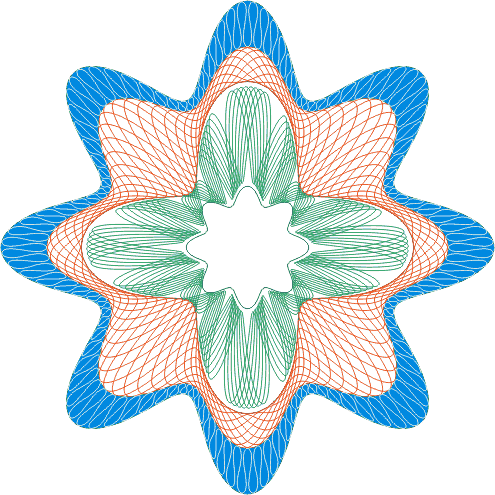 The interference between the two creates the moiré pattern. The two fine dot patterns — the halftoning pattern used to print the document and the pattern of the scanner’s samples combine into maxima or minima every several pixels in the image, depending on the spacing of the dots. It affects the overall light intensity in periodic patterns that become very visible. Moiré patterns! 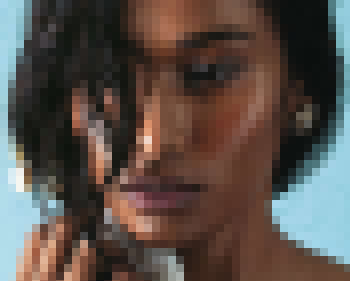 When scanning images from printed material like magazines, you’ll often discover a murky herringbone, crosshatched or dotted pattern in your digitized images. It all depends on the image resolution. Resolution determines the degree of detail in an image — think of an HDTV versus a normal one! 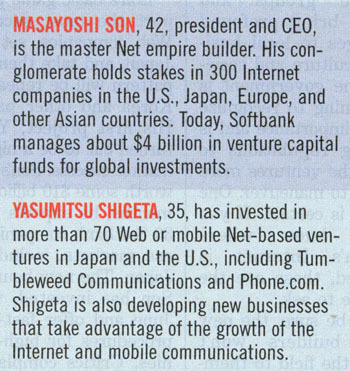 Here are some interesting facts you didn’t know. DVDs have a much lower resolution than you thought: they display 720 × 480 images with nevertheless 345,600 pixels on the screen (the “480p” format). 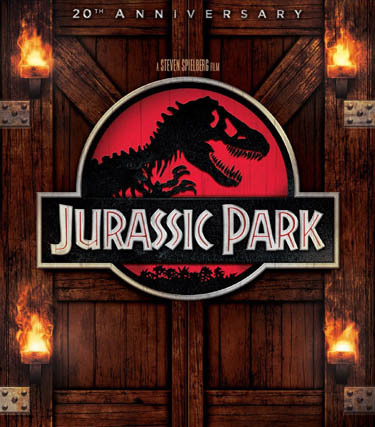 The successor format Blu-ray (the “1080p” format), designed for HDTVs, encodes 1,920 x 1,080 frames, which corresponds to 2,073,600 pixels displayed on the screen… Yes, Blu-ray discs are more expensive but they also offer 6 times more image information! One last comment: you may think that sharper is always better, but you’re wrong. From a certain point onwards, too much detail can seem unnatural! 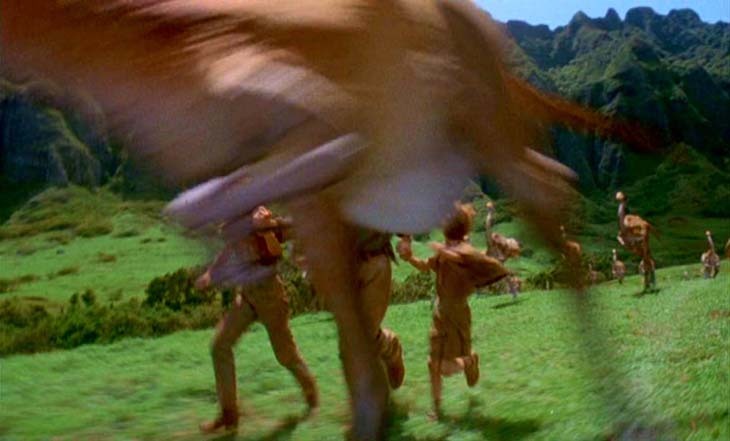 When the dinosaurs start charging in “Jurassic Park”, some blurring is added to make their motion look realistic! 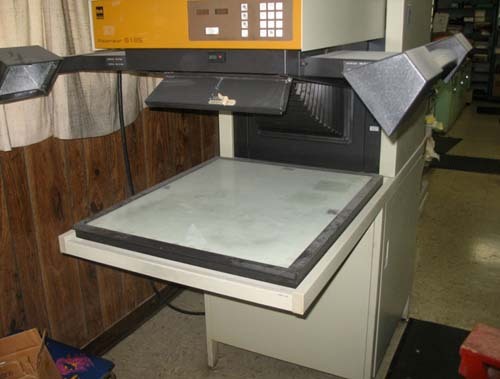 As soon as the scanning resolution is high enough, your scanner is bound to pick up the individual dots of the various halftone screens instead of the colors that these screens in combination produce for the human eye, a piece of hardware with a much lower resolution. Take any photo in a glossy magazine. 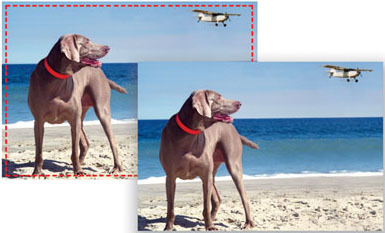 An insect sees the first image, the human eye picks up the second image and an image scanner digitizes the third image. And we don’t even need to zoom into the pixels to see wherin lies the problem: the scanner, offering much more detail than the human eye, pushes the yellow, magenta etc. dots of the halftone screens right in our faces! Printed on paper, the halftone screens are too small to be noticed by the human eye, but the machine does detect them and uses them to recreate the image digitally. And at this point, the patterns of colored pixels in the digital image have become too large for the human eye to ignore them any longer. Let’s investigate what happens when you specifically scan… a rosette! The digital snapshots you take with your photo camera or cell phone are “bitmaps” or “raster images” (even if you see vectorial lines in them! ), the logo that your company got designed by a graphic artist is a vectorial graphic! 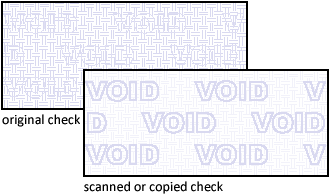 Scan (and reprint) a check or a bank note and the fine vector lines of the rosettes unavoidably become jagged — or even invisible if the scanning resolution is too low! It becomes immediately clear you’re dealing with counterfeit, which is why rosettes get used in the first place! The smart reader will wonder why this phenomenon doesn’t occur when you’re for instance typing or reading text on a computer. 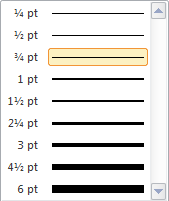 After all, letters are small — too small to be painted smoothly on a computer screen! The answer is anti-aliasing. Anti-aliasing is the common name to describe any software technique that reduces “jaggies” on the screen by filling out the surrounding pixels with grey or color. This softens the harsh stair-like steps to the point where your eye and brain are fooled into thinking that the lines are actually smooth. Back to checks. Would you accept a check or a $100 bill from somebody if it had the same “jaggies” as our “5 & Diner” logo or our scanned fish? 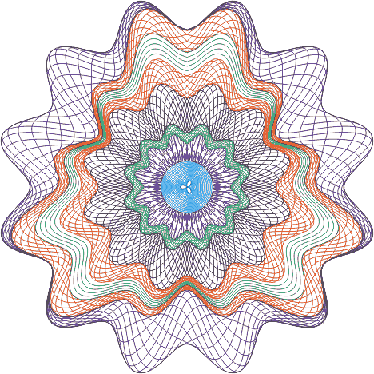 Or if you asked you to recreate our rosette perfectly, not with a vector drawing package such as Adobe Illustrator or CorelDraw — which is cumbersome enough — but with an image scanner and photo editing software such as Photoshop, would you accept that mission? 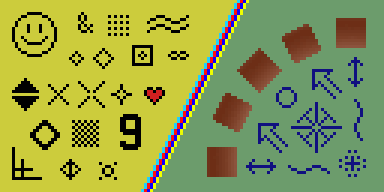 Now study the bitmaps below for a few seconds: horizontal and vertical vector lines “translate” into bitmaps better than diagonal lines, let alone the constantly curving lines of rosettes…! 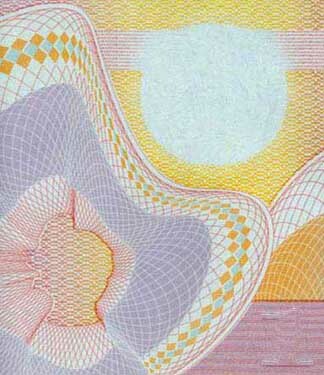 The second reason why checks and bank notes are difficult to reproduce is that you’ll see vignettes printed on them. Vignettes are halftones with the background gradually fading and blending from one color to another. 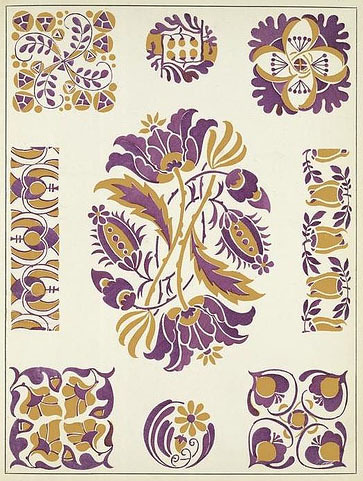 a running ornament — the small decorative design often involves vine leaves, grapes or tendrils — at the beginning of a book or book chapter or along the border of the pages. 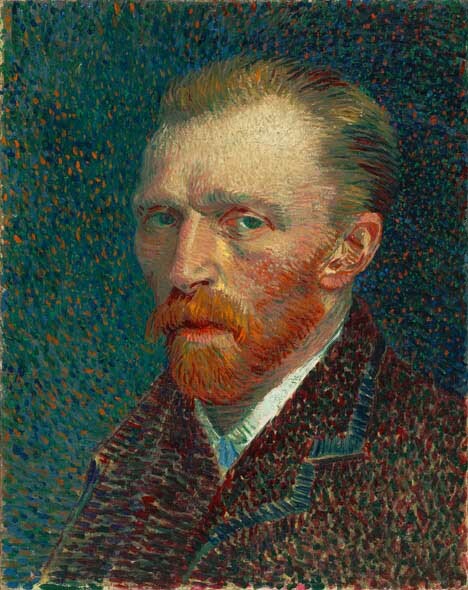 a picture, often a portrait or engraving, that gradually shades off into the surrounding color so as to leave no definite line at the edges. 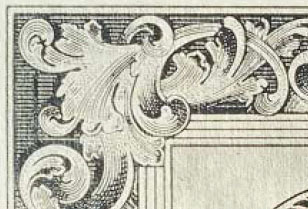 the pictorial part of a postage stamp design (distinguished from the frame and lettering). a short, graceful literary sketch (or a even scene from a play or movie). The first two definitions show the path! 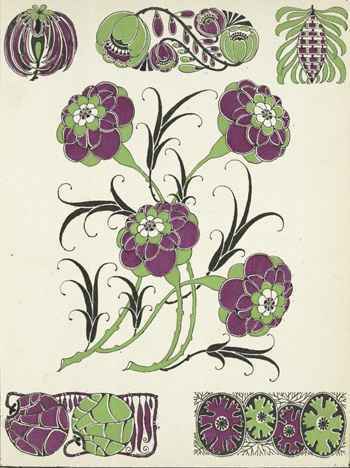 (When the design is based on a spiral, the word scrollwork is often used — think of the art movement called “art nouveau”. 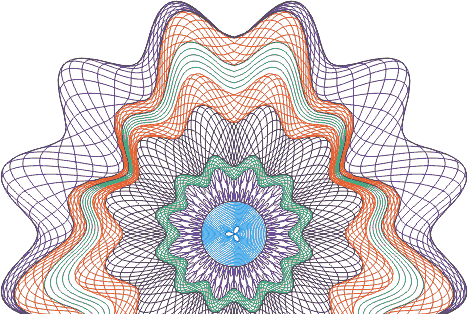 Prismatic printing is more complex than just vignettes. Here too, you get fading and blending of two (or more) colors in the background, but with added complexity: the different colors are produced by the same printing unit! The inks merge where they meet in the ink fountain — no color separation here! — to form a blend of colors in the background. A “rainbow effect” is produced! Why are rosettes, vignettes and prismatic printing used on checks and paper money? The reasons don’t change: they’re very difficult to reproduce, and when scanned or xerox copied, detail gets lost and the patterns tend to generate moiré patterns. 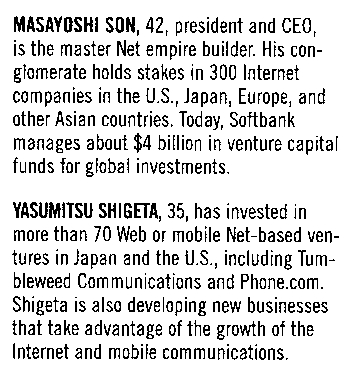 And now the vignette on all borders of the bill — hope you recognized it as that! With a genuine bill, the fine lines in the border are clear, unbroken. On the counterfeit bill, the lines in the vignette have become blurred, indistinct. Which brings us to the closely related phenomenon of “high-resolution borders”. 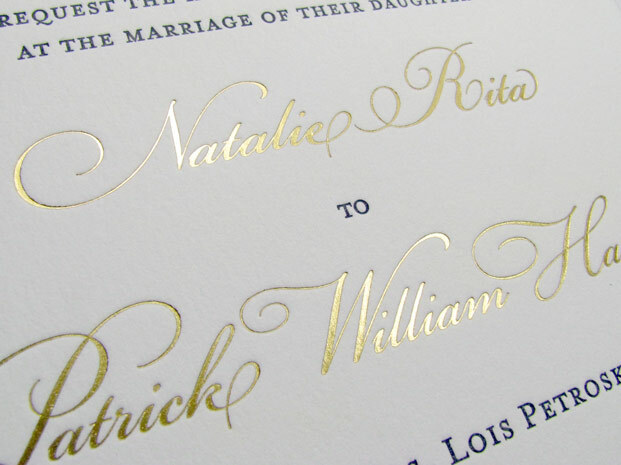 Those are white-line patterns against a solid or screened dark background to showcase the authenticity of a document. This time, we’re not talking about the vignettes but about the line pattern in the background. Straight lines (of two widths) in our first example. In the second example, more white lines on the inner border but also a fine “chainmail-style” pattern on the outer border. 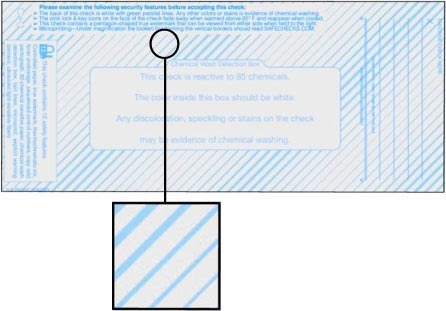 A similar phenomenon occurs on the back on many checks: a “security screen”! It’s a lightly printed screen with reverse text, for instance “Original document”, that isn’t duplicated by scanners and copiers. 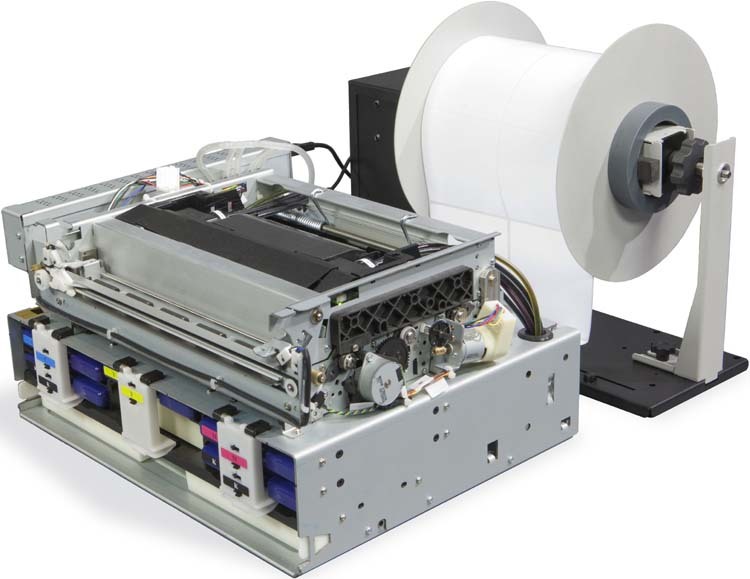 Only a quality check printer reproduces it with fidelity! Copy or scan the back of such a check and the words fade, distort or simply disappear. The opposite is also used: with copy voiding, extra information shows up when you copy or scan a check but is invisible in the original check. Yes, void pantographs are a hidden but highly efficient security feature! 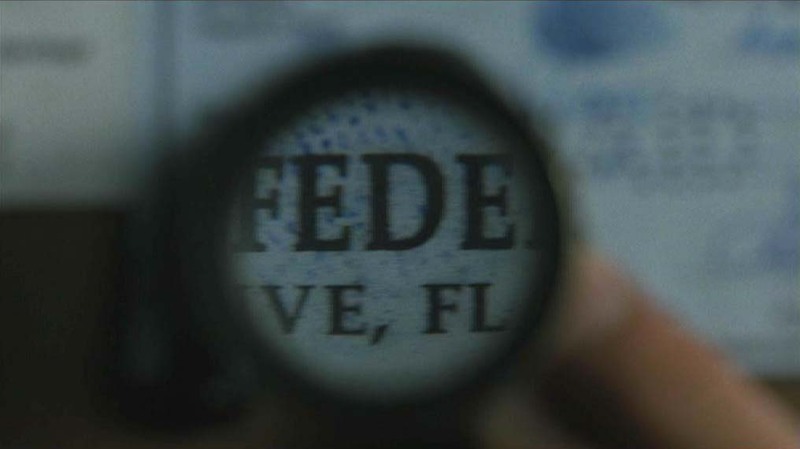 For the sake of completeness, I’ll quickly mention one more if minor feature of secure document printing — not that you can see it illustrated in the movie: laid lines. 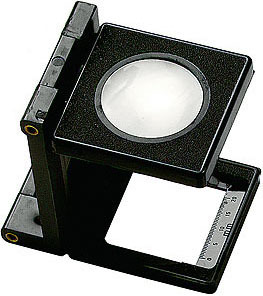 Bleed is the extra extent of a printed image (usually 3 to 5 mm.) beyond the trim edge of a sheet or page. 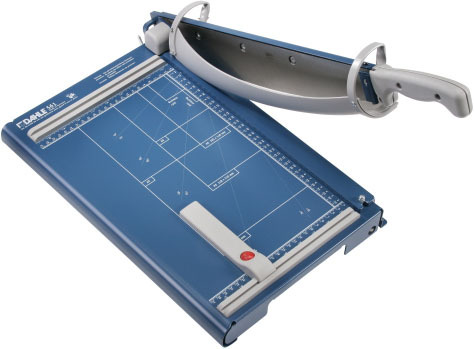 The extra area on the drawing or printing plate that extends the plate beyond the trimmed or folded size ensures a clean cut-off: after a page has been printed and trimmed, the image will still continue to the edge. The extra bleed area absorbs the normal and expected variation in production. Without bleed, a brochure with a, say, blue background, would have ugly white borders. Maybe not on all copies or all pages, but certainly on some pages and some of the 4 borders! A “full bleed” means that the image extends on all four sides of the pages. It requires the use of a oversized sheet of paper. For instance, an 11x17” full-bleed page actually gets on 12x18” (or larger) paper before it is trimmed. 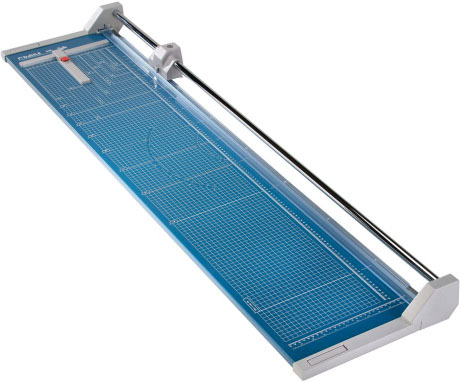 The machine you need to finish printing with bleeds is called a “paper cutter” or “paper trimmer”. The one you see here on the left is an entry-level machine of the “guillotine” type. The bigger machine on the right indicates that there’s a whole range of cutters-trimmers depending on the volumes to be cut and the size of the printed matter — from specialized machines to cut small business cards over cutting tables that trim posters to rotary machines to cut newspapers as part of the printing process. One more thing: with flexography — a printing process which uses a rubber or plastic plate instead of a stable metal one as offset printing does —, the borders on the sides are never very clean. 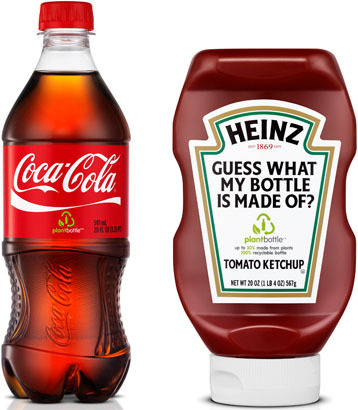 Flexographic printing is used on (food) packaging made of plastic, foil, brown paper etc. 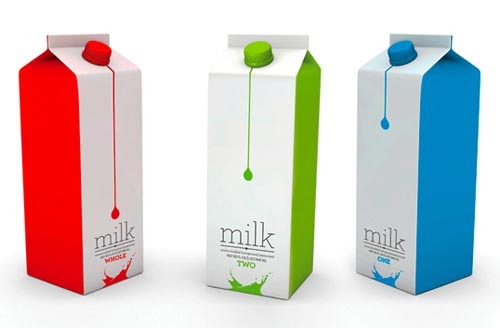 So next time you’re about to throw a milk box away, have a quick look at how the borders are printed first…! 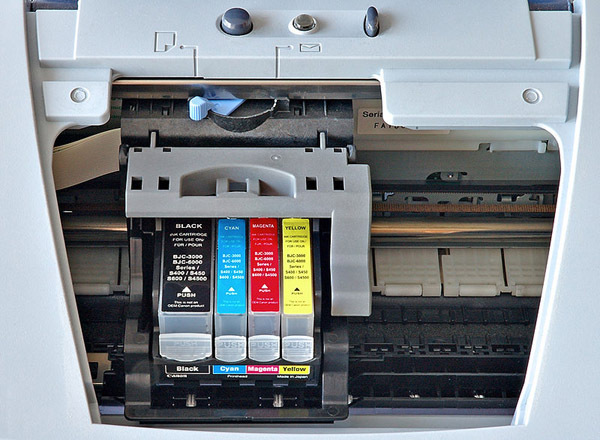 This you will know: laser printers and inkjet printers can’t print bleeds. They have a non-printing border, the printable area always excludes the last 5 mm. of a page! 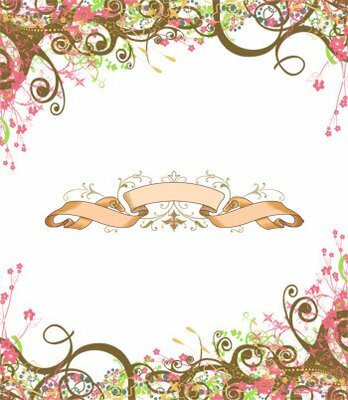 That’s because the print engine cannot physically print all the way to the edge of the paper: the “dead space” on the outer border is typically used for the mechanical handling of the paper. 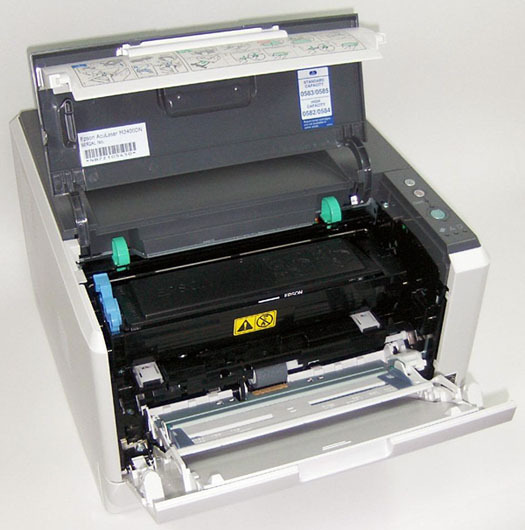 Open a laser printer and compare the size of the paper with the size of the printer engine if you never have! So, that’s what “bleeds” in printing are! But I don’t think this type of bleed is meant in the movie. Let me explain: the printers find Abagnale’s checks flawless, amongst others because “there’s no bleeding” . When you print checks with a colored background, the opposite is true. 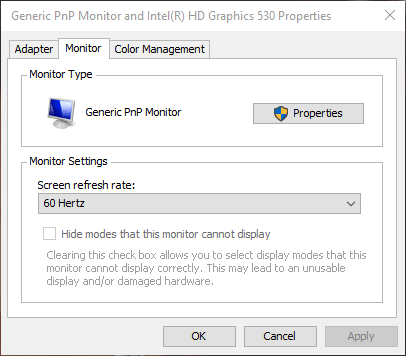 You need bleeding if the background color is to cover the whole check. Without the extra space, even a minor shift of the paper in the printing press will lead to checks with ugly white borders — not neat, professional printing! As for the many checks that don’t print up to the edge of the paper, a white border — indeed a risk when you print for instance a full-page photo without overflowing printed space for the subsequent trimming — isn’t an issue. In my opinion, the “bleeding” of ink on the paper is being referred to. When the printer says “no bleeding”, I think he means “no color bleeding”. 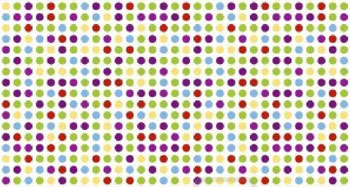 Color bleeding is the mixing of different colors in neighboring printed dots before they dry and get absorbed by the paper. Some minor color bleeding is inevitable but unnoticeable; too much bleeding reduces the print quality substantially. The amount of bleeding depends on the paper type — how grainy is it and how does it absorb the ink? 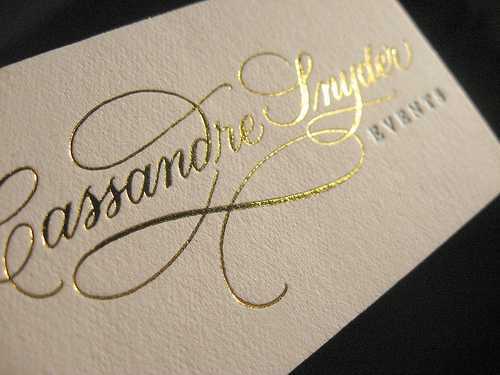 —, the characteristics of the ink — think fluidity, thickness and drying speed — and the spacing of the printed dots. So, color bleeding deals with the way in which one color snuggles up to another in printing. Do the various colors fit like pieces of a puzzle? Or do they overlap, bleed into each other? Which brings us to “misregistrations”. Now, this requires more explanation on printing processes. “Registering” means aligning the different films and printing plates — the results of color separation, remember? — to produce one printed image. 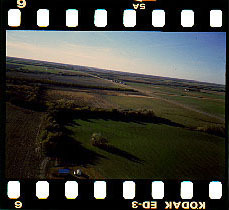 “Registration marks” or “crop marks” are small crosshairs on film used in alignment. These marks are placed on the artwork to assist the planners and machine minders to print the image in the correct position. If the colors are not aligned properly on a page (or if the paper stretches too easily), unintentional space — the “background” color of the paper — appears between the adjoining colors. 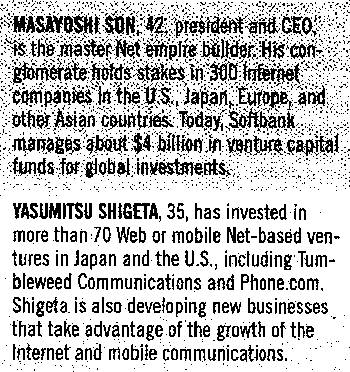 This phenomenon is called “misregistration” and it is to some extent unavoidable. How can anybody ensure that the paper that moves through the large beast called a printing press to print one color after the other in the exact same way? Printing is an intensely mechanical process and some variation is bound to occur. But if it’s unavoidable, why don’t we see it a lot more? Or in just about every printed brochure or magazine we lay our hands on? We don’t because printers have two closely related solutions to cope with this challenge — trapping and overprinting. Overprinting is doubleprinting, printing over areas already printed. For instance, by printing black outlines around objects, the risk of white space and a border of another color where the two colors meet border is gone. The cubes look better without the misregistration, don’t they? This strategy of adding (preferably black) borders obviously has its limits. 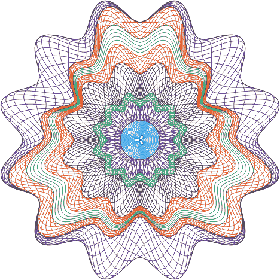 To compensate for misregistration you can also overlap colors a little. 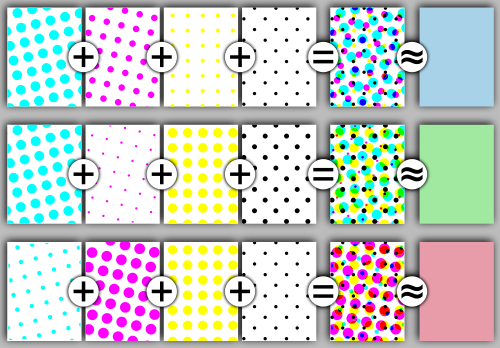 Overlapping colors are called trapping. The situaton where no trapping or overlap is used is aptly called “knockout”. 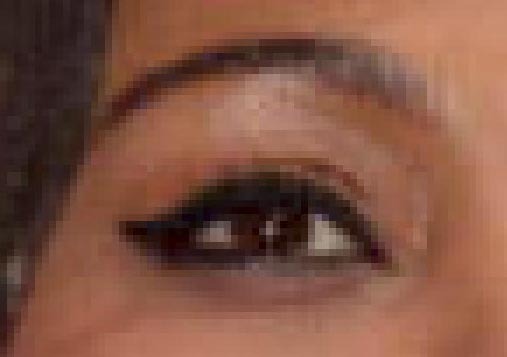 (The “knockout” is the portion of an image that’s been removed. When two or more colors are printed, they don’t print on top of each other. The bottom color is not printed, it’s “knocked out”.) So, the two shapes fit perfectly, but that also means they have to be printed perfectly to avoid unsightly white spaces and overly thick borders! The cyan plate contains two holes — the “knockout” — where the magenta plate has the letters “DI”. When the color plates start printing on paper, any misregistration produces small gaps between the two colors (where the white paper shows through) and a thick border on the other side (where the darker color prints over the lighter one). 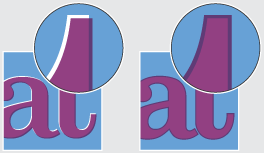 To avoid the ugly result, you can increase the size of the letters in the cyan (C) plate slightly and maintain the original size of the holes in the magenta (M) plate. 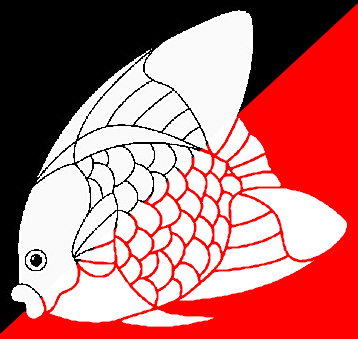 The colors now overlap, filling any gaps between the two colors. Generally speaking, one of the two trapping methods is used, depending on the colors of the overlapping objects. As a rule of thumb, the lighter object is increased in size. If a darker object is on top, choke is used. If the background is darker, one uses spread. 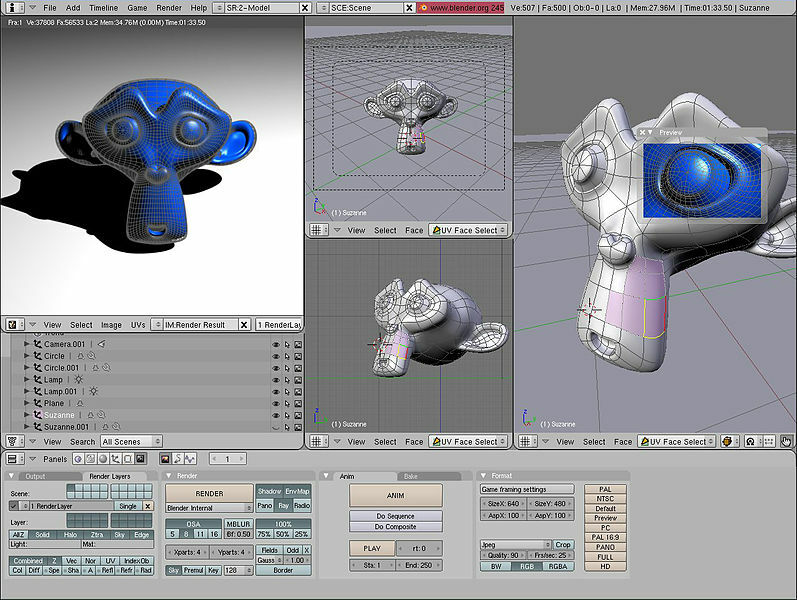 Always increase the lighter object, not the darker one! Doing it the other way around changes the size of your objects visibly. 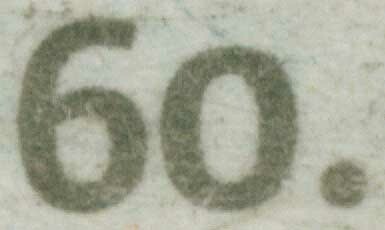 To complicate things further, the ink coverage plays a role in the overprinting involved. 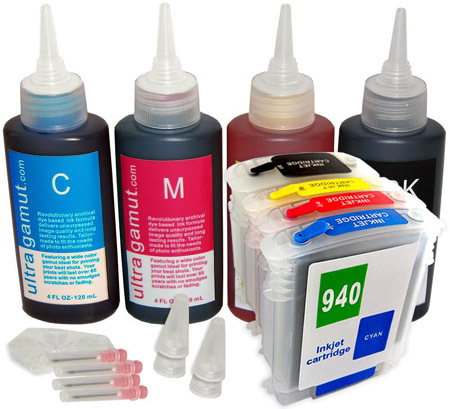 Ink coverage refers to the total percentage of inks. Of course, printing one translucent color on top of the other is what color printing is all about, but there’s a limit to the amount of ink (or even toner) that can be put on paper! Because of this technical limitation, the ink that gets laid down last may not attach properly to the previous layers. You’ll get muddy browns in neutral areas and the ink won’t dry properly. And you know what happens then: when the printing press drops the next page on top of the still wet one, the ink rubs off on it! Back to rosettes: a rosette that uses four colors and isn’t aligned well is a definite give-away that you’re dealing with a fake document! 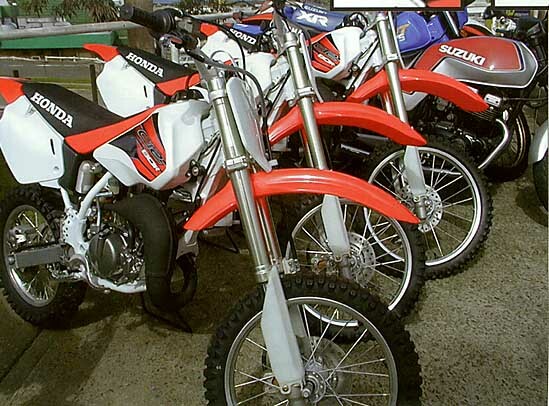 Misregistration is therefore a big issue for check forgers and money counterfeiters. And in my opinion that’s what’s meant here when the printer says there’s no bleeding in the checks. When you’re printing checks with rosettes, vignettes where one color fades into another etc., you not only need to separate the colors properly, you also have to mix them correctly on the paper once you start printing. By aligning the printing plates correctly, without misregistration. And by using the right paper and ink to avoid colors leaking into each other before they dry. And that, my friends, you can call printing “without bleeding”! And this being a site about OCR, amongst other things, we can’t forget the special type of ink bleeding called “bleedthrough”! Think of a newspaper where you can see what’s printed on the other side — yes, the absorption of ink by newspaper stock can be that deep! 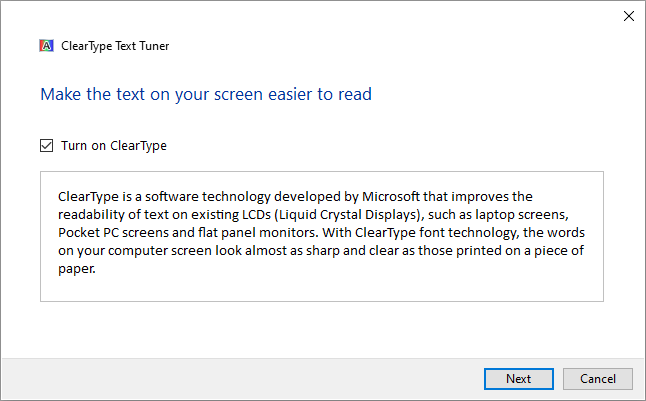 Bleedthrough can play a huge role when you start to scan documents. Recognizing documents with heavy bleedthrough requires a color or greyscale scan followed by binarization. A black-and-white image generates spurious pixels! Binarization is a complex issue and we can’t go into the many aspects here. But may these images show some of the challenges… The objective is always the same: the background — whatever the colors are — has to be removed, turned into white pixels, and the text on the foreground — yes, whatever the colors may be — has to nicely stand out, get converted into black pixels. And guess what? Bleedthrough may be an impediment to character recognition, but it’s also used as a document security feature! 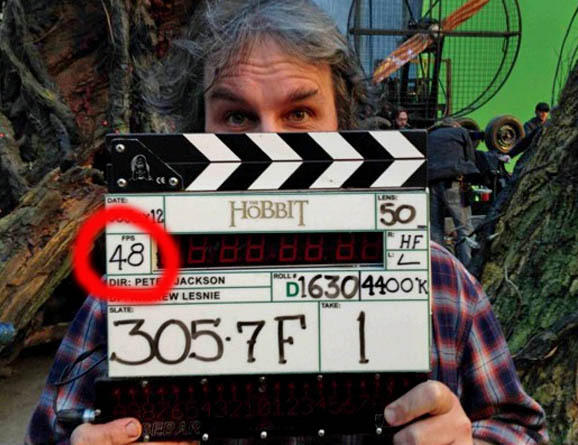 Dual-image numbers are control numbers that use ink containing two different components: black and red. The black component is printed on the front of the document and is surrounded by a red halo. The red component penetrates the paper fibers and is usually visible on the back of the check. 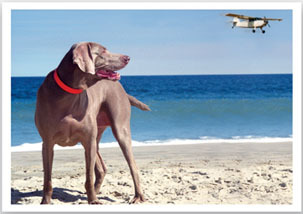 In his white paper “Check Fraud and Identify Theft — Volume III” (2004) (page 7), Abagnale mentions that this red halo is sometimes applied to the entire codeline. Definitely a good idea, because that protects the check efficiently against alterations! For example, the scam called “the float” is rendered impossible because you need to alter the routing code on the codeline to pull it off! I have no idea what an Istra is. Can’t find any information on that. Probably a fictitious, invented name for a printing press model. The Heidelberg is composed of 5 units. 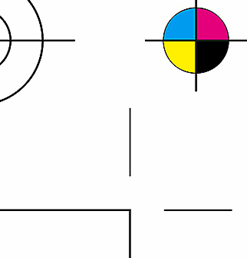 Say, doesn’t it take 4 colors — cyan, magenta, yellow and black (“CMYK”) — to print color material? Not necessarily. Extra colors can be used too! 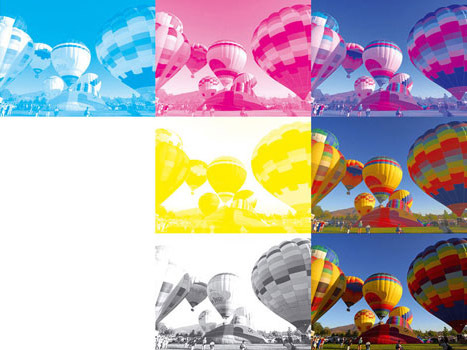 Hexachrome printing is six-color printing that uses enhanced cyan (C), magenta (M), yellow (Y) and black (K) inks with the addition of green and orange. 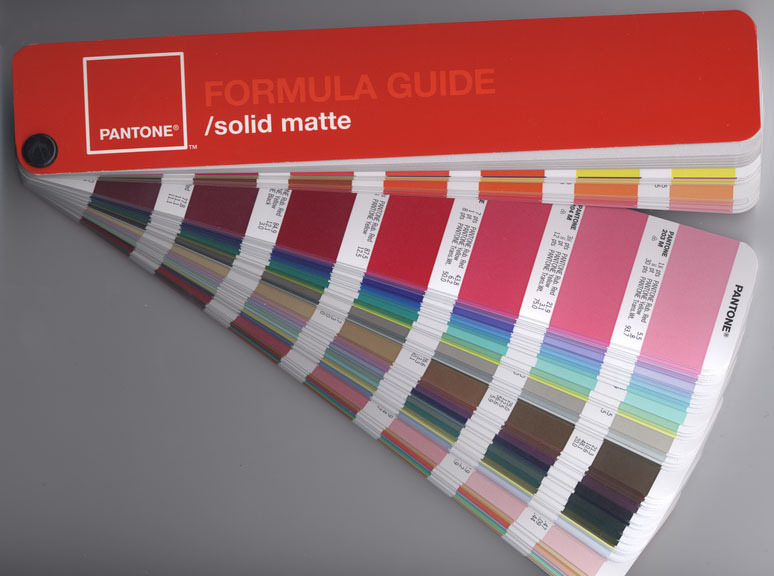 This gives very vibrant results, you can in fact match 90% of the Pantone colors! 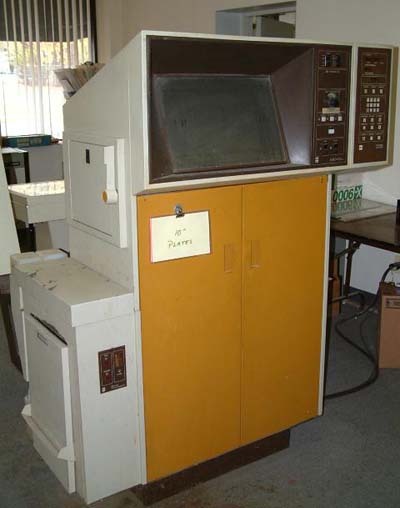 But I guess this is not a total surprise for you: after all, the inkjet printers have moved on too these last years. Notice the two extra inks — light magenta (LM) and light cyan (LC) — that allow print finer nuances and to extend the color range of your printer! In real life, Abagnale never became a professional printer to forge checks. He did use an ITek camera and a small offset printing machine to create his own checks. And that photographic reduction, reader, shines light on the last unexplained comment from the professional printer: “ [The check’s] a perfect one-sixteenth all the way around.” He’s praising the camera work that was done on the checks!